The best ground beef taco recipe for low carb Taco Bell style tacos, uses an easy homemade taco seasoning and cheese taco shells. 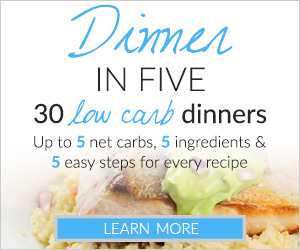 At net 5 carbs each, they’re perfectly keto and gluten free, too. 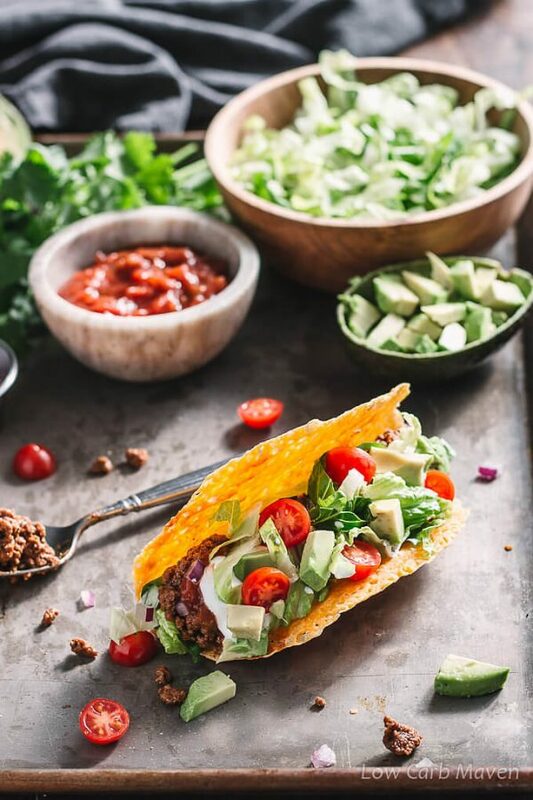 If you’re like me, a crunchy taco hits the spot when Mexican food cravings hit! I was thrilled that my family enjoyed this easy ground beef taco recipe as much as I did. Since the taco shells were already made, the meal came together in 20 minutes – faster than take out! 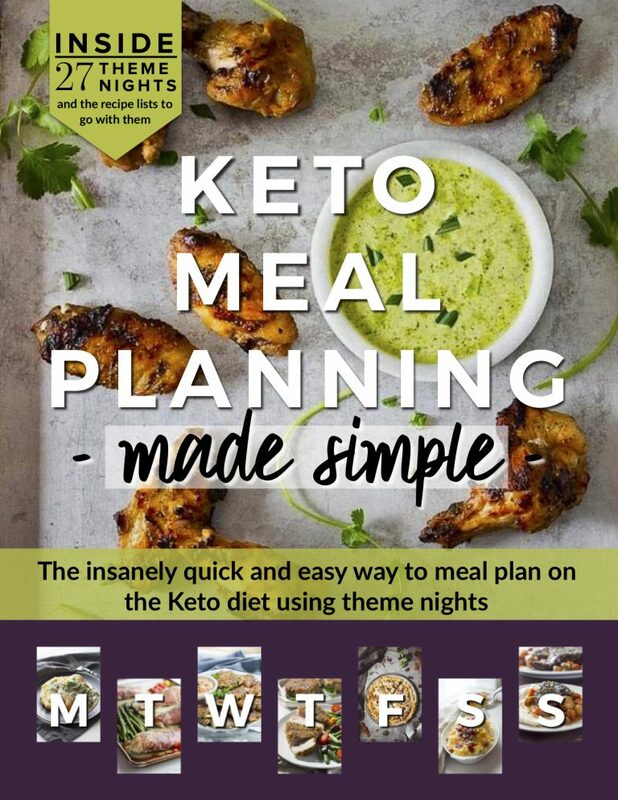 Low carb Taco Bell? You betcha! 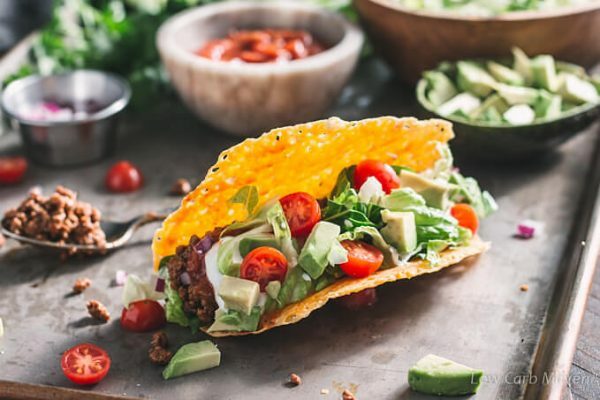 Many Americans grew up eating tasty ground beef tacos at home for Taco Tuesdays; you know the kind that resemble those from Taco Bell with the crunchy yellow corn taco shells, seasoned ground beef, lettuce and tomatoes. An easy taco recipe made with ground beef and a seasoning packet, it was a staple of my childhood. Every year more Americans decide to reduce the amount of processed food they buy and consume. 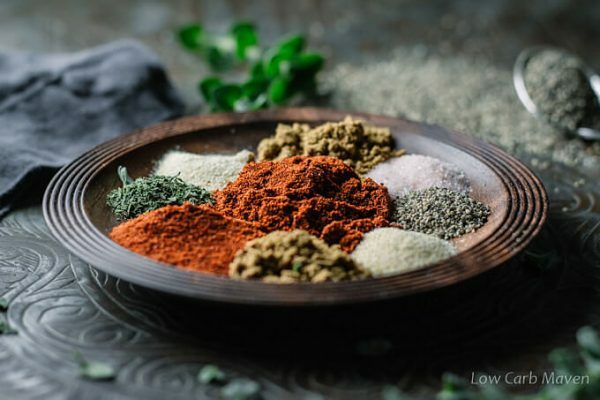 A great way to start is by replacing store bought salad dressings with homemade and making your own seasoning blends like the low carb taco seasoning recipe I shared last week. Making your own seasonings allows for customization and control of ingredients like sugar and salt. It’s also a great way to ensure your food is gluten-free and grain-free if your are into that kinda thing. 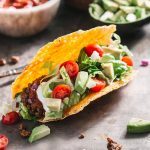 I used my own taco seasoning blend for this recipe and am convinced it makes the best ground beef tacos! While I won’t try to claim that this is an authentic Mexican beef taco recipe, they feature seasoned shredded beef, it’s pretty tasty and very popular with my family. 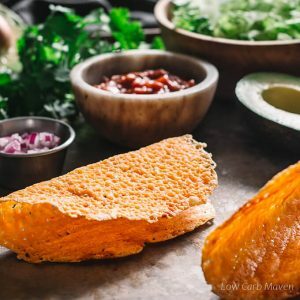 Since this is a low carb recipe blog, I use cheddar cheese taco shells instead of processed corn taco shells from the grocery store. The cheese shells are crispy and hold up well to all kinds of fillings. At just 1 carb each (vs 18 carbs in Old El Paso taco shells), I’m sure I’m not the only one doing a happy dance right now. 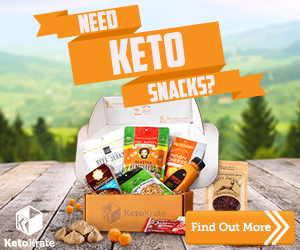 For those new to the lifestyle, we who follow low carb and keto diets are not afraid of fat. In fact, fat fuels our bodies. But for this recipe, I use lean ground beef. Why? I didn’t want any grease dripping out of my tacos and staining my shirt. Also, there is plenty of fat in the cheese, avocado, and sour cream. 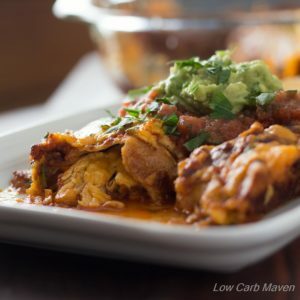 These are the perfect keto tacos! Like most taco recipes with ground beef, one pound of meat is enough for 6 servings. I was fine with eating one taco and was sorry after eating two as they are pretty filling. I suggest serving with a small side salad with a tangy vinaigrette dressing. Tell me what you like on your tacos in the comments below. Each ground beef taco is 5 net carbs. Wash and chop lettuce and cilantro. Slice avocado and toss with lemon or lime juice to prevent browning. Mince onion. Have salsa, sour cream and shredded cheese ready. 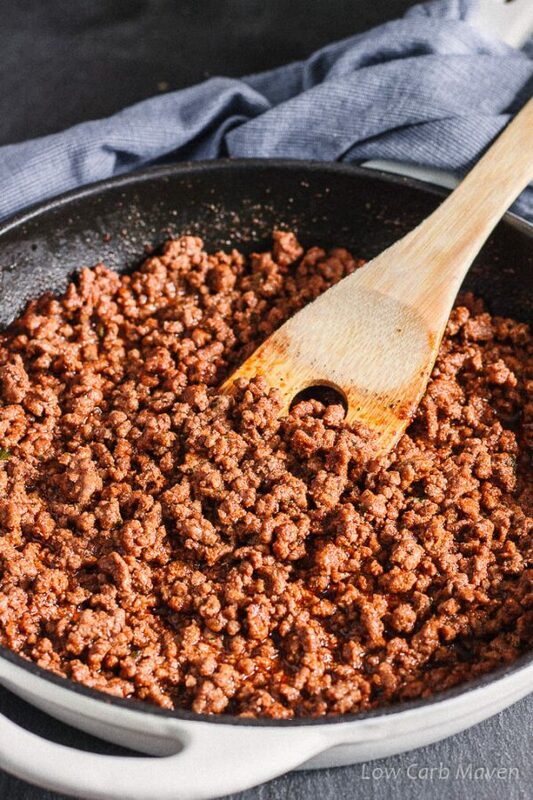 Crumble the ground beef into a cold pan and turn the heat to medium. Working continuously, break-up the ground beef with a spatula or a wedge shaped wooden scraper/spoon, until it is very fine in texture. Stir the taco seasoning into the ground beef and cook until fragrant. Add the tomato paste and stir. Add the beef broth (or water and beef base) and simmer until almost absorbed. Aim for a moist but not wet mixture. Adjust seasoning with salt and pepper. Divide the seasoned taco meat evenly between the 6 cheese taco shells. Fill the shells with your favorite toppings. Enjoy! Makes 6 tacos. 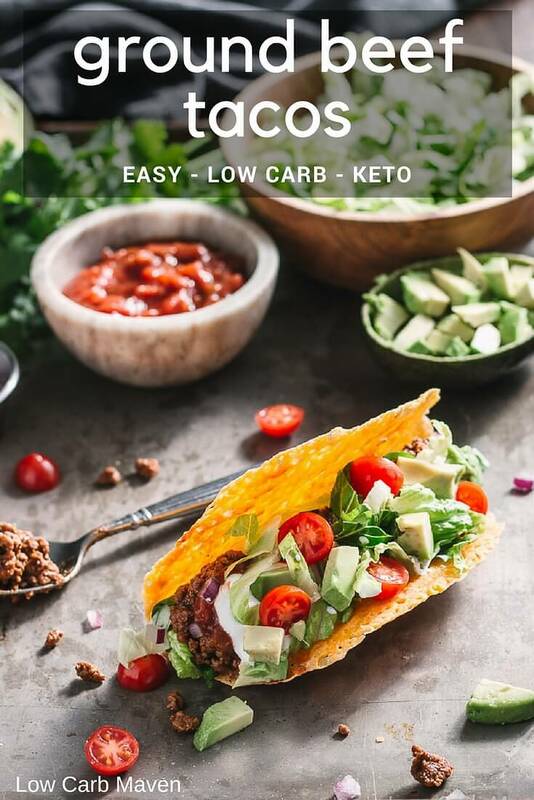 Each taco is 5 g net carbs when made with the ingredients shown. I’m sorry to be a pain, but I don’t want any taco shells. I just want taco seasoned ground Chuck, sour cream. shredded cheddar cheese & hot sauce. I have no idea how to figure out the calories, carbs, fats, etc. I’d like to do it in cups. 1/2 cup? 1 cup? 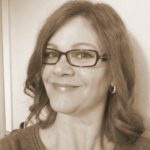 I’m new to this, & really don’t wanna screw it up. Can u help me? 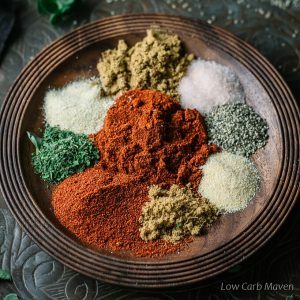 Couldn’t find my go to low carb taco seasoning recipe and came across yours. So glad I did. Made your taco recipe and it’s is delish! The seasoning with tomato paste and beef base is so easy and tasty. Thanks for sharing. I have a family of 10. So before I go to the trouble of making these beautiful taco shells, I must know. . . do they break in two, or worse, crumble into pieces, on the first bite? This is a great ground beef recipe- perfect for tacos! We added a little cayenne to spice it up. Thank you for sharing. Love these! All my husband wants on his taco is seasoned ground beef. Likes all the other toppings as a side salad! Have made smaller cheese circles and pressed them into “scoops” shape for eating with salsa or other dips. Hey Kim! Spray and wash will get that grease spot out of your shirt! Definitely going to try these as well as the chorizo chili. Nice to meet you, John!